Hyperbolic Fun with Daina Taimina! ASTOUNDING KNITters will remember Daina from the pages of my book, in which she explained the idea of a surface that is constantly curving away from itself, like a lettuce leaf, or a wood ear mushroom, or a ruffle—or in some cases, ruffles on ruffles on ruffles. And also what this has to do with crochet—plenty, since crochet is the ideal medium for creating such a plane (unlike paper, say, which is infinitely un-sturdy). The only drawback (if it’s really a drawback at all)? 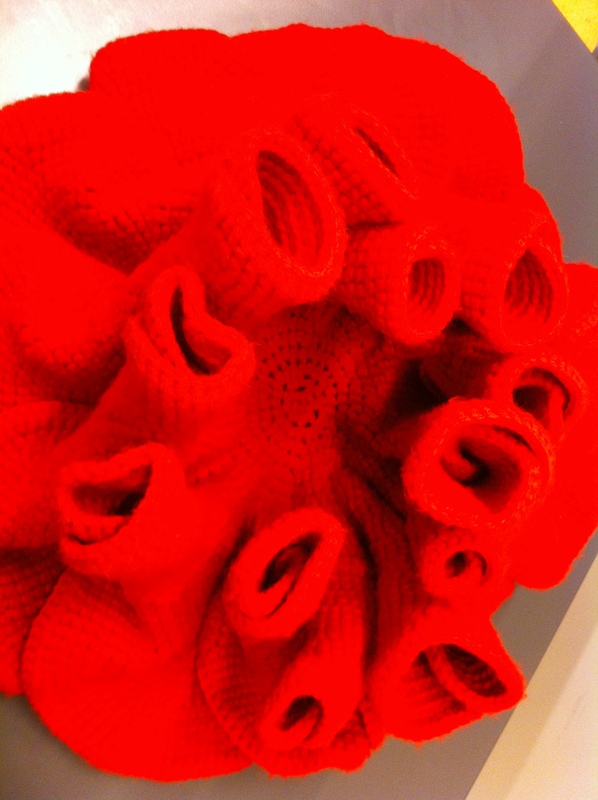 A crocheted hyperbolic plane uses a lot of yarn—did Daina really tell me 6 miles worth of yarn in one notable instance? 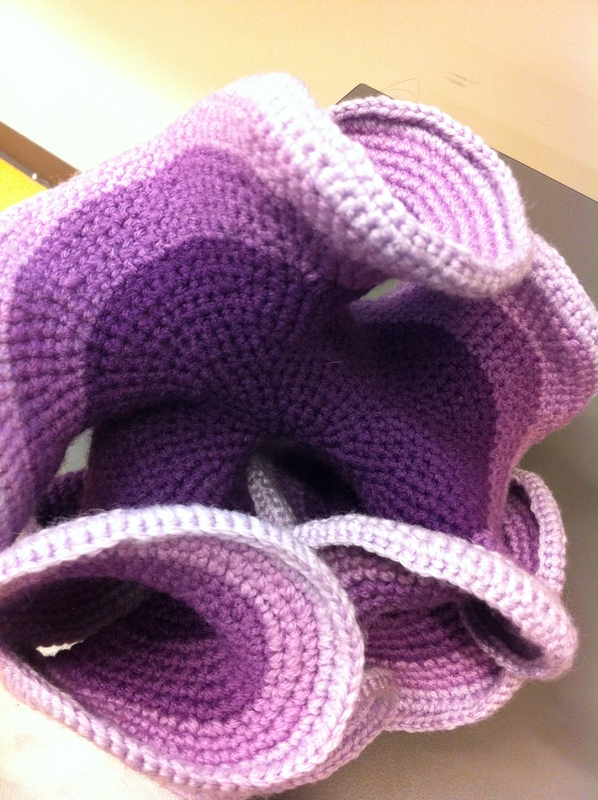 And of course, as I discovered on Friday, this means crocheted hyperbolic planes are also heavy—wonderfully heavy, since they are also soft and supple, and since heavy is the opposite of what you expect from something made from yarn. 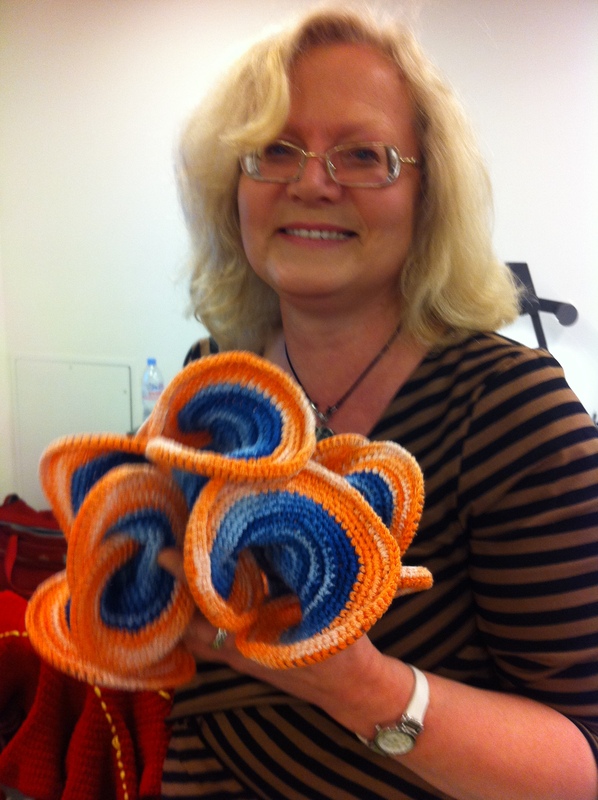 You can learn more about hyperbolic planes, Daina, and her new book on her website. If math has a rockstar, Daina is it!